“This exceptionally generous gift is an enduring legacy of two people who clearly cared about the future of medicine and science,” said UCLA Chancellor Gene Block. “The university is honored to be the steward of such a transformative bequest. As a tribute to the couple, the UCLA Center for Health Sciences Plaza, where the announcement was made, was renamed the Irma and Norman Switzer Plaza. 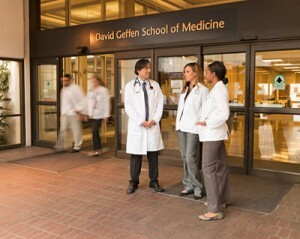 According to a university press release, the gift will go toward advancing medicine, patient health and several bioresearch programs at the school, and will count toward The Centennial Campaign for UCLA, a $4.2 billion fundraising campaign, which was formally launched in May 2014 and is scheduled to conclude in 2019, the campus’s 100th year. Earlier this year, The David Geffen School of Medicine at UCLA received a $7.2 million grant from the National Institutes of Health as part of an initiative targeting the most difficult-to-solve medical cases and looking for ways of diagnosing rare genetic disorders. The four-year grant is part of a $120 million NIH called the Undiagnosed Diseases Network, which is designed to support doctors’ efforts to find answers for patients living with mystery ailments. UCLA has received 1778 awards and $397,282,282 award dollars YTD for FY 2014-2015. UCLA has received $21 million in funding from the California Stem Cell Agency. This expansion represents a significant increase in opportunities for lab equipment and consumables vendors to market their products at this prestigious research institution. With 290 medical research centers and institutions, UCLA continues to be a pioneer and an innovator with its state-of-the-art research funding, facilities, and people. As UCLA continues to grow, the need for lab materials and equipment grows with it. Lab equipment vendors that would like to increase lab sales by marketing directly to these eminent and well-funded researchers can consider targeting the UCLA marketplace at the Biotechnology Vendor Showcase™ Events at UCLA on 4/2/15 and 10/22/15. 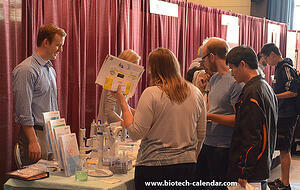 Last year, the Biotechnology Vendor Showcase™ Events at the University of California, Los Angeles attracted a total of 1105 attendees, 287 of which were purchasing agents, professors and post docs, and 141 were lab managers from 39 different research buildings and 66 on-campus departments.